Vince Lawrence, founder and CEO of Slang Musicgroup, which recently benefited from software upgrades with the help of GC Pro. 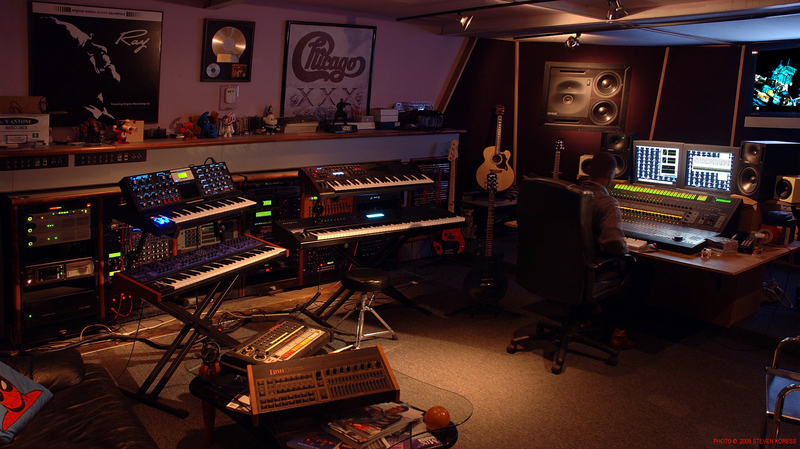 The control room at Slang Musicgroup, which recently benefited from software upgrades with the help of GC Pro. WESTLAKE VILLAGE, CA, December 1, 2011 — Vince Lawrence has packed more into three decades in the music business than some achieve in a lifetime, initially as an artist, entrepreneur and innovator who helped introduce house music worldwide, then as a composer, producer and remixer who has come to effortlessly straddle the worlds of music and brand marketing. Lawrence’s Slang Musicgroup recently turned to Guitar Center Professional (GC Pro), the outside sales division of Guitar Center that focuses on the needs of professional users, as they were upgrading the company’s production studio. Chicago-based Dan Scalpone, GC Pro Regional Manager, South Central U.S., was Lawrence’s primary contact on the project. 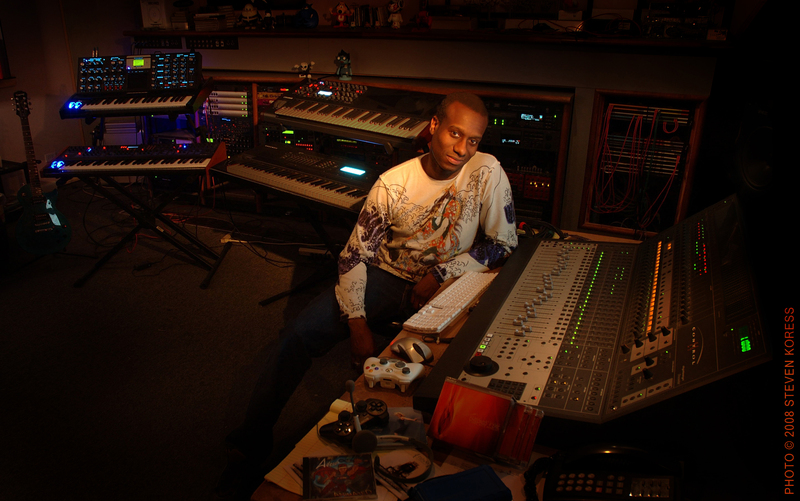 Having access to the fastest computer available and 30 GB of RAM is critical for a studio that runs so many software instruments, not to mention the various applications, such as Logic and Reason, preferred by the team’s composers, according to Lawrence. “We got Vienna Ensemble to use as a bridge so that we could load the other synths into different RAM or even different computers that are elsewhere on our network, so we could maximize our composition palette. We wanted to have as many different things running virtually as possible,” he explains. Slang Musicgroup works on many different types of projects, including remixing; music for advertising; music licensing for commercials, web, games and other purposes; original music production; artist development; and studio rental to outside engineers and artists. Current remix projects include songs by R. Kelly and Wiz Khalifa, reports Lawrence, also noting that Canadian artist Mira Black, young four-piece Mindless Behavior, and rapper Jim Jones, working with local artist YP, have all visited recently. The Slang Music Group team also wrote the theme for TV’s “Dr. Oz” and works closely with McDonalds, a client for many years, on music-related initiatives. In addition to the upgrade to Pro Tools 9, and shortly to Pro Tools 10, new software at the studio also includes Native Instruments Komplete & Maschine, Spectrasonics’ Omnisphere and Arturia’s collection of VST instruments. “Plus a few other interesting synth goodies that I’ll keep to myself for the moment,” laughs Lawrence. With the installation of Apple’s Leopard OS, he upgraded the studio’s Waves plug-ins (Mercury bundle) and added the Abbey Road Studios bundle. The processing plug-in collection was further expanded with iZotope’s Stutter Edit, Elysia’s mpressor and the SPL Tube Vitalizer. The upgrade included a single item of outboard processing hardware, an API 2500 stereo compressor. With producers and musicians all working in the facility’s large control room, noise was an issue, so Lawrence also purchased a 20-unit IsoBox rack from Sound Construction. “Lowering the noise floor while keeping critical gear in the room was one of his objectives,” reports Scalpone. Slang Music Group is also working with several artists on Atlantic Records, says Lawrence. Somehow the team has also found time to create a five-CD set of loops and one-shot samples, Chicago Fire, for Sony Creative Software’s Acid application. “It’s a good basic toolkit for anybody who wants to make good sounding house music and electro,” he says. Photo Caption 1: Vince Lawrence, founder and CEO of Slang Musicgroup, which recently benefited from software upgrades with the help of GC Pro. Photo Caption 2: The control room at Slang Musicgroup, which recently benefited from software upgrades with the help of GC Pro. Guitar Center is the leading United States retailer of guitars, amplifiers, percussion, keyboards and pro-audio and recording equipment. Our retail store subsidiary operates 222 Guitar Center stores across the United States. In addition, our Music & Arts division operates 101 retail stores specializing in band and orchestra instruments for sale and rental, serving teachers, band directors, college professors and students. We also are the largest direct response retailer of musical instruments and related products in the United States through our wholly owned subsidiary, Musician’s Friend, Inc., and its catalogs and owned or operated websites. More information on Guitar Center can be found by visiting the Company’s website at www.guitarcenter.com.